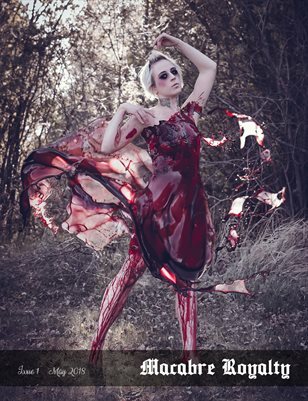 The premier issue of Macabre Royalty magazine! Featuring content from artists all over the world in Alternative, Horror, and Macabre Culture. We support the artists featured in each issue by reserving 50% of the net sales profit to be distributed to the contributors! Support independent artists worldwide by purchasing this magazine. Each quarterly issue of Macabre Royalty features original works including: Original Dark Photography, Original Horror and Dark Fantasy Comics, Independent Horror and Thriller Stories, Film and Television Interviews, Alternative and Horror Lifestyle, Special Effects Makeup Features, Cosplay Artists, and much more!